In the process of smelting the lead batteries, The Battery Recycling Company Inc. generated large quantities of waste, including lead slag and lead-contaminated dust. The U.S. Environmental Protection Agency announced it has added a former battery recycling facility in Arecibo to its Superfund National Priorities List of the country’s most hazardous waste sites. Before it temporarily stopped operating in the spring of 2014, The Battery Recycling Company, Inc. smelted lead batteries into lead ingots, which are bars of lead that can be reused in manufacturing. As a result of previous operations, the site is contaminated with lead, arsenic and heavy metals. “My goal as administrator is to restore the Superfund program to its rightful place at the center of the agency’s core mission,” said EPA Administrator Scott Pruitt. “Today, we are adding sites to the Superfund National Priorities List to ensure they are cleaned up for the benefit of these communities. “When we clean up these sites, we make communities healthier places to live and clear the way for development and increased economic activity,” he added. Workers also carried lead dust on their clothes into their cars and homes, putting their families and others potentially at risk, the EPA said. Lead is a toxic metal that can cause damage to a child’s ability to learn and a range of health problems in adults. Arsenic is known to cause cancer, as well as many other serious health problems. In 2010 and 2011, the EPA conducted a series of inspections of the facility to determine its compliance with federal laws and regulations. The EPA took various enforcement actions against the company and reached a settlement in June 2011 under which the company agreed to clean up and prevent releases of lead dust from the facility. The EPA also assessed homes and vehicles of former company employees that had become contaminated with lead dust from the facility. The EPA evaluated 202 homes and 282 vehicles, and the company then cleaned up 149 residential properties and 145 vehicles under EPA’s oversight. Following the temporary shutdown of the facility in the spring of 2014, the company alerted the EPA to its financial inability to complete work under the settlement. 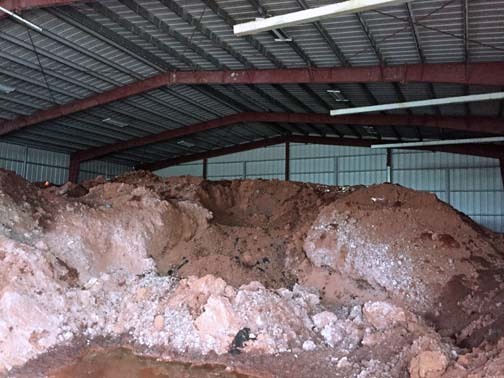 The EPA then began work to stabilize lead slag piles and contain contaminated wastewater to minimize the most immediate threats posed by releases from the site, a job that is ongoing. In September 2016, the EPA proposed The Battery Recycling Company site for inclusion on the federal Superfund list. The Puerto Rico Environmental Quality Board supported the inclusion of the Battery Recycling Company site on the federal Superfund list and the EPA has determined that Superfund is the best course of action to protect people’s health and clean up the contamination, the agencies said. Hey Buddy!, I found this information for you: "Former Arecibo battery smelter added to Superfund list". Here is the website link: https://newsismybusiness.com/battery-smelter-superfund/. Thank you.